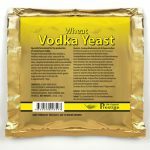 A temperature tolerant turbo yeast that is suited for mash, fruit schnapps and alco base. Will ferment 6kg of sugar to 15% alcohol and 8kg of sugar to 18% alcohol in 25 litres total volume. 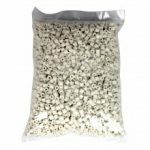 Instructions: Dissolve 6 – 8kg of sugar into 6 litres of hot or boiling water. Make sure the sugar has completely dissolved before continuing. 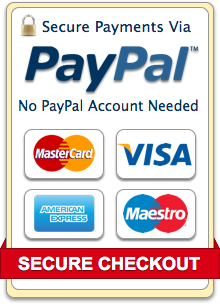 Top up to 25 litres volume with cold water, continue to stir until the liquid is mixed. 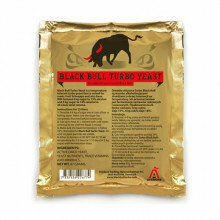 Make sure the liquid temperature is below 39degC then add the Black Bull Turbo Yeast. Stir until no yeast particles are visible. Allow to ferment at 20 – 28degC air temperature for 3 – 5 days (or 7 – 10 days for 8kg of sugar) until fermentation stops.